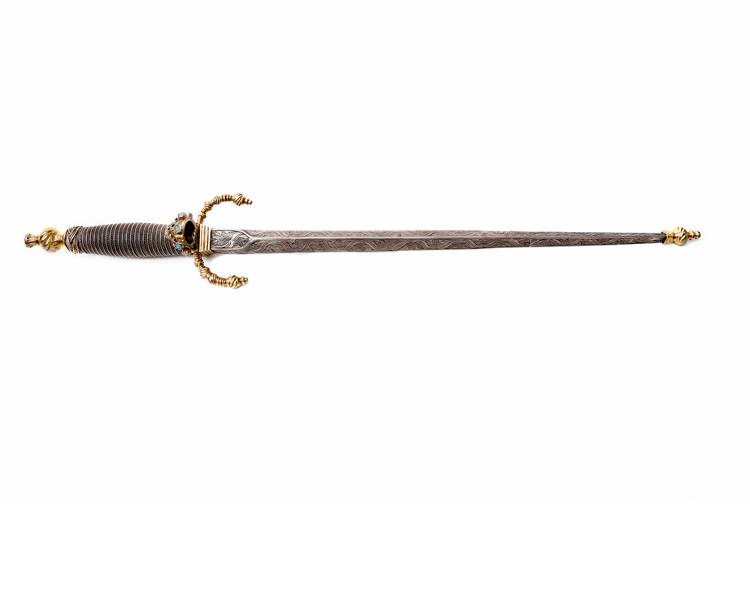 Silver-gilt hilt, engraved silver scabbard with gilt locket and chape. Pierced triangular blade. Small dome shaped side ring set with turquoise and coral, decorated with filagree. Quillon block stamped with indecipherable marks. Dated 1731 on the scabbard. Quite rare. Very good condition.